These 4 Digit Common Cathode 7-Segment LED Displays are ideal for adding display functionality to your project. These 4 Digit Common Cathode 7-Segment LED Displays are ideal for adding display functionality to your project. 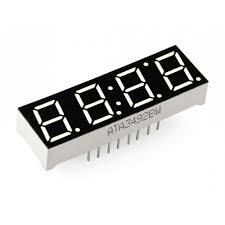 Display numbers and more with this 7-Segment display.